Grookey, the Grass type Chimp Pokémon. Scorbunny, the Fire type Rabbit Pokémon. Sobble, the Water type Water Lizard Pokémon. Back when Generation 7's Alola starters were announced, I was on Team Rowlet. Rawk was on Team Popplio. Kamek was on Team Litten. This time, I immediately identify with Grookey. Rawk is a firm Sobble supporter. Kamek wasn't available at the time of writing, though. [Update March 5: Kamek votes for Grookey.] Speaking for myself, I've had a clear Grass-type bias for a long time now. I actually thought Scorbunny was a Meowth when we just saw its legs. Got scared it would be “Pokémon: Let's Go, Meowth!” or something. Junichi Masuda of GAME FREAK looking like Jeanne from Bayonetta. Yeah. 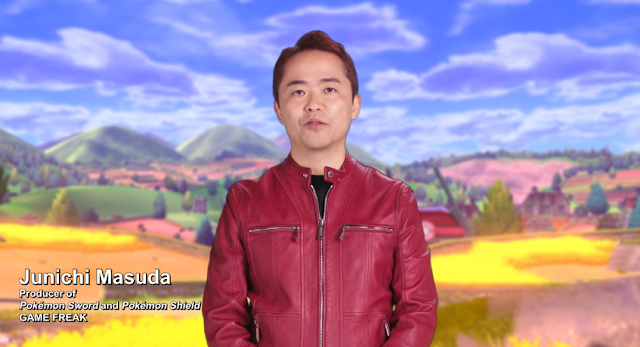 Junichi Masuda of GAME FREAK. The guy who has said that Pokémon: Let's Go would be the last Pokémon game that he would direct... but that doesn't stop him from producing! And he might still have a lot of influence as producer. Just like Shigeru Miyamoto, who has pretty much just been a producer lately. This could be dangerous. Their self-challenge to try new things may also be dangerous, seeing as how last year's new things in the series were mostly bad things. Galar is an expansive-looking region, and the in-gameplay trailer looked great. Gyms are back. I praised Sun and Moon for having an alternative to gym matches, but I'm fine with them coming back after a break. Those names, though. Sword and Shield? That's totally going against established canon. Unless the whole thing is an Aegislash reference, the Pokémon series already has a weapon of choice against shields: the spear. Left: Bastiodon, the shield that cannot be pierced. Right: Rampardos, the spear that can pierce anything. Spears beat swords in the weapon triangle anyway, but that franchise's upcoming game is a whole other topic that I'm not at all optimistic about. Guess I'll instinctively lean towards Pokémon Shield, though that's premature. Sounds like a good Splatfest topic. Too bad those won't exist by the time Pokémon Sword and Pokémon Shield will release on the Nintendo Switch, which is projected to be late 2019. 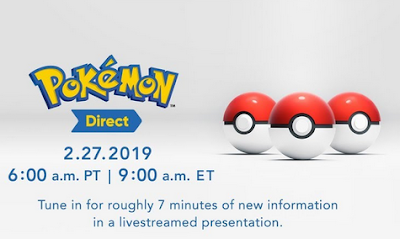 Might as well say “holidays 2019” since we all know that's Nintendo's strategy for 2019. What do you think about the Direct and its contents? Any feelings? Or are you waiting for more information before coming to a conclusion? Also, would you have preferred a live reaction log over this write-up? Share whatever thoughts you might have! "Those names, though. Sword and Spear? That's totally going against established canon. Unless the whole thing is an Aegislash reference, the Pokémon series already has a weapon of choice against shields: the spear." I think the first "Spear" in the sentence should be "Shield." I had no idea I hacked into koopatv.org and found a future article. Yeah try to refrain from doing that! Solid reveal. The purpose is very clearly to show that it'll be a conventional Pokemon game, and they'll delve into whatever new features the game has later on. A good chunk of the internet is upset over it not being a magical open-world game, but getting one of those right wouldn't mesh with their traditional release schedule, which requires churning out a new generation every 3 years, which works for them in terms of keeping the series perpetually relevant in tandem with remakes/expanded re-releases. They get to annually milk the segment that buys everything, while still spacing mainline releases just enough to avoid franchise burnout, but it does make it harder to reinvent the franchise like Zelda sometimes does.Remember that both BOTW and Ocarina of Time had lengthy and messy development cycles that meant droughts for mainline Zelda entries, and while they paid off, time spent out of the spotlight can be a negative for a franchise. Gamefreak cares about money, not critical acclaim, and they have a very effective formula for making it that they aren't going to abandon as long as it works. Everything you said is great insight! I disagree with that chunk of the Internet (and perhaps that upset anonymous commenter) that wanted a big revolution in the main series. With all that's happened with the franchise with GO and Let's Go and all of that pandering, a return to form is very reassuring. I don't have a preference for change for the sake of changing things. Or you might end up with something like Sticker Star. The article's footer implied that it's a justifiable state to reserve judgment on Sword/Shield due to waiting for more information. You're doing the opposite. Do you have information I don't? How do you know it's not revolutionary? How do you know it's the same old? How do you know how handholdy it is? How do you know how boring it is? ...What did you expect for the graphics? Definitely joining you on Team Grookey. Scorbunny just looks like Fennekin 1.5 to me, and Sobble...what even IS that thing? Tbh, I thought I was done with the main line Pokemon games for good after I vehemently couldn't be bothered to try Ultra Sun and/or Moon...but with the new region based on England, I might just go back on my word on that. Hm, that's interesting, the last part. Is the real-world inspiration for the region really that influential? ...I wanna hear that long story and you got the time to tell it! I don't think it's going to happen communicating only through article comments. We could communicate by other means too! Years of article comments have to mean something though. I thought the Discord was for the people who contribute to this website? I mean like, with articles. I mean, sure, I contribute with my comments, but more often I snark at it instead. I didn't mean the KoopaTV Discord server. I meant, uh, Discord direct messages. Sword and Shield are odd choices for Pokémon, and I wonder how they're going to be worked in... feels weirdly out of place right now. 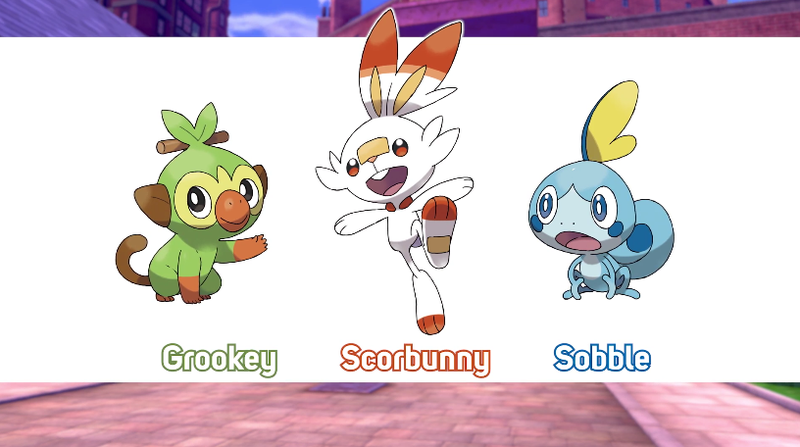 Like you, I think Grookey looks the best of the three starters. I was stunned by how many people I saw angry that it wasn't open world or a radical change in formula (like Breath of the Wild). It's too early to say if it will suffer from Sun/Moon's problems, but so far I like what I've seen. "It's a console game! Why isn't it an MMO?" Is what I've heard. Because all console games need to be like that. The open world obsession frustrates me. I've seen people who want Metroid Prime 4 to be open world, too. I've seen that camera complaint a lot. I don't understand what the ask is. Why do people not like a fixed camera? What would they prefer? I think they want an over-the-shoulder camera that you'd be able to move freely. ...Oh. No, you shouldn't want that. I mean, that makes it harder to... explore.